Consumers often sue businesses because they believe that they have deep pockets. In some cases, businesses file claims against other businesses for a plethora of possible reasons. Sometimes the claims may be valid, but in other situations they are not. 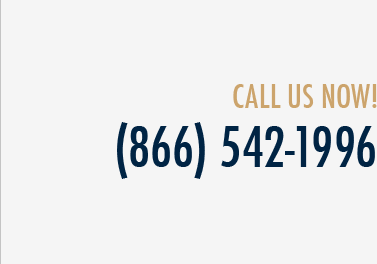 At St. Denis & Davey, our Florida commercial litigation attorneys provide vigorous representation to businesses across the state from offices in Jacksonville, Miami, Tampa, and Panama City. We represent businesses that bring commercial lawsuits as well as those that defend against claims. Our firm also assists clients who need an insurance defense attorney to help shield them from liability. Often, businesses in Florida become involved in shareholder litigation or contract disputes. For example, when a shareholder believes that a business' management is not acting in the company's best interests, they may bring a derivative lawsuit under a theory of misrepresentation, breach of contract, or breach of fiduciary duty to seek damages on behalf of the company. Derivative lawsuits may also be filed by members of unincorporated associations. A derivative lawsuit is not always brought for legitimate reasons and may involve political tactics or exaggerations by a shareholder. In order to have standing to sue in a derivative action, a plaintiff needs to have been a shareholder at the time that the cause of action accrued, or they must have received shares by operation of law from someone who held the shares at that time. In other words, the person bringing the claim must be motivated to protect the interests of the corporation. There are instances in which it is appropriate to attack a claimant's standing in bringing a shareholder oppression case. In other cases, it may be possible to challenge a plaintiff's failure to make a proper written demand on the corporation. Shareholders are not permitted to bring a derivative action until 90 days have passed from the time that a demand was made, except when they have been notified that the corporation has rejected the demand or waiting the 90 days would cause irreparable harm to the corporation. In other cases, a shareholder brings a direct action based on harm that has been done not to the corporation but allegedly to them personally or to a group of shareholders. The direct action may attempt to compel payments of dividends, protect voting rights, seek an inspection of corporate records, or protest the issuance of shares that allegedly dilute the shareholder's interest. Shareholders bringing direct actions must allege both direct harm and a special injury. If we can disprove that there is direct harm or that there is a special injury, it may be possible to get the case dismissed or win at trial. In addition, we handle the defense of consumer lawsuits involving commercial law. For example, sometimes consumers who are injured blame automobile dealers or manufacturers for injuries allegedly arising from a defect in the brakes or tires, or because of a vehicle’s supposed lack of "crashworthiness." We may be able to show that the consumer misused the product or did not use it in a way that would be foreseeable. In other cases, it may be possible to show that the defective product was made or distributed by someone else or that the plaintiff altered it in a way that made it unsafe. Other common claims arise out of alleged violations of the Magnuson-Moss Warranty Act or the Deceptive and Unfair Trade Practices Act. These statutes are intended to protect consumers, but they may be subject to misuse or abuse by opportunistic individuals. For example, Magnuson-Moss is a federal law that requires detailed information about which kinds of warranties are being offered for products. These claims may be brought by an individual or a class. In defending a claim, we may be able to attack class certification on the basis that the putative class does not meet the requirements for a class, or we may be able to show that written warranties actually were clear and legible and in compliance with Magnuson-Moss. In other cases, we may be able to move the case out of court and into an alternative dispute resolution forum, such as arbitration, in which our client can more easily protect their interests. 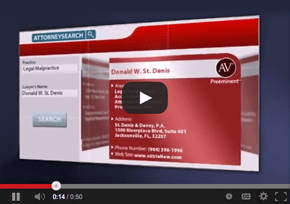 Commercial litigation is often complex and should be handled by experienced attorneys. The tenacious and knowledgeable lawyers at St. Denis & Davey have experience in commercial litigation involving businesses across Florida. Call us at (800) 785-2153 or (800) 775-8571 or contact us online to schedule an appointment. Our firm also is here to advise you if you need a construction defect defense lawyer or assistance in fighting a medical malpractice, nursing home, labor and employment, or premises liability claim.